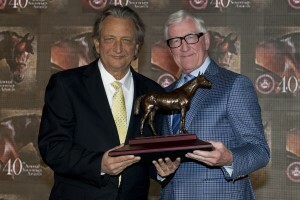 April 10, 2015, Toronto, Ontario –The Jockey Club of Canada held its 40th Annual Sovereign Awards event this evening on the elegantly transformed third floor of Woodbine Race Track in Toronto, Ontario Canada. 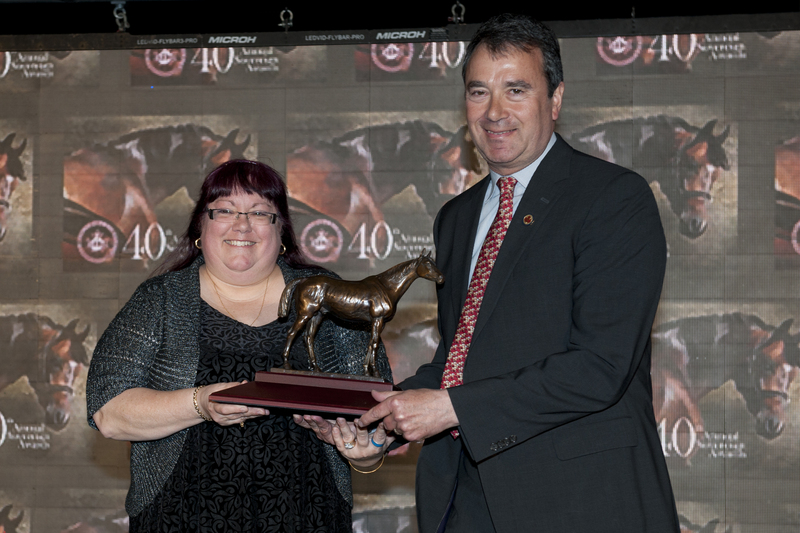 More than 300 guests were in attendance to celebrate with the finalists and the newly crowned champions of Thoroughbred racing in Canada for 2014. 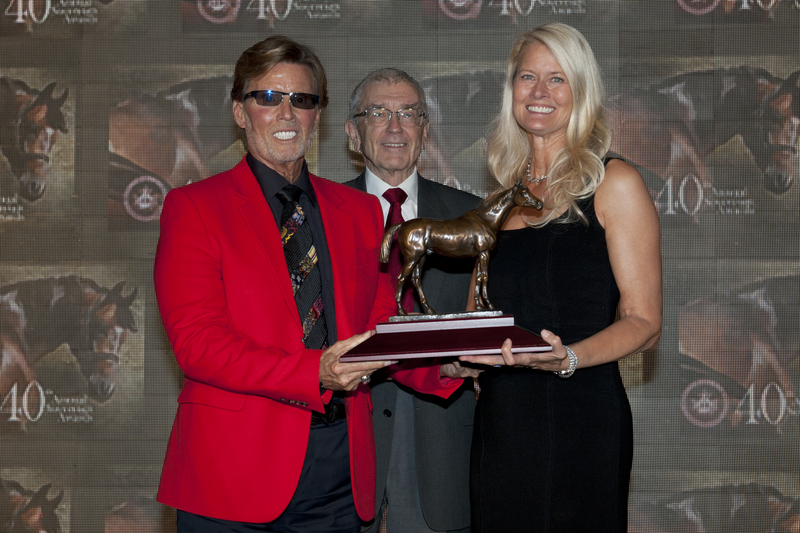 The Sovereign Awards are Canada’s premier awards for Thoroughbred Racing and Breeding with both the owner and breeder of each Champion horse being recognized with a Sovereign Award Trophy for first time winners or a Gold Sovereign Coin for those who have won a trophy previously. 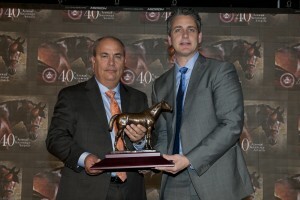 In an effort to promote equal opportunity in determining the winners for 2014 in the 17 race award and 3 media award categories, the voting began January 2, 2015, allowing for statistics for the entire year to be considered. 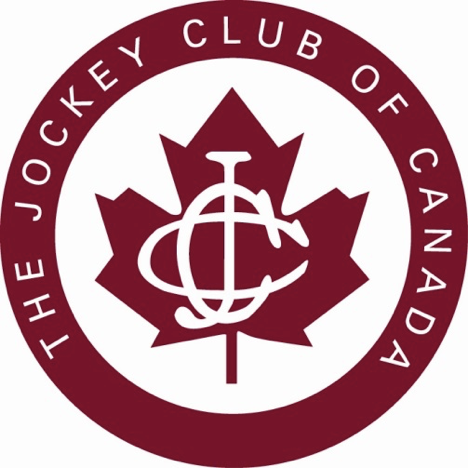 The Jockey Club of Canada announced the top four finalists in each category as determined by the online ballots of 40 knowledgeable voters. The media category awards were determined by the Professors of Humber School of Media Studies and Information Technology, in Toronto, Ontario. Three finalists were announced in the three media categories. 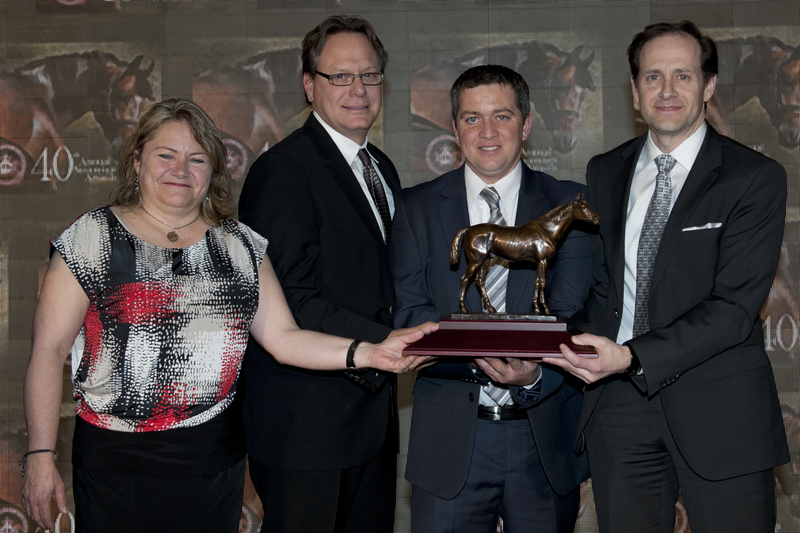 The Jockey Club of Canada is pleased to announce the 2014 Sovereign Award winners in the order in which they were presented. All photos by Michael Burns. Cindy Pierson Dulay (center) accepts the Sovereign for Outstanding Photograph from Jennifer Anstey (right) and Dianne Denby of Canadian Thoroughbred Magazine. 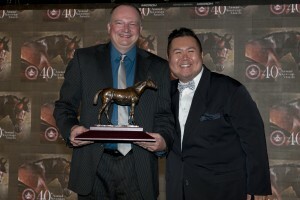 The Jockey Club of Canada Award – the annual award was presented to Jeffrey Sehl at the School of Media Studies and Information Technology, Humber Institute of Advanced Technology and Advanced Learning in Toronto on February, 26 2015. 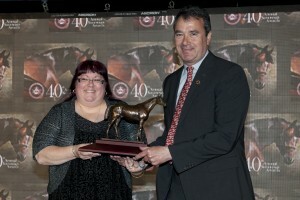 This monetary award is presented to a student entering their final year of study, who has exemplified outstanding leadership inside and out of the classroom; who has showcased exceptional knowledge of sport and sport issues with special consideration given to those who have reported on issues relating to Canadian thoroughbred coverage. 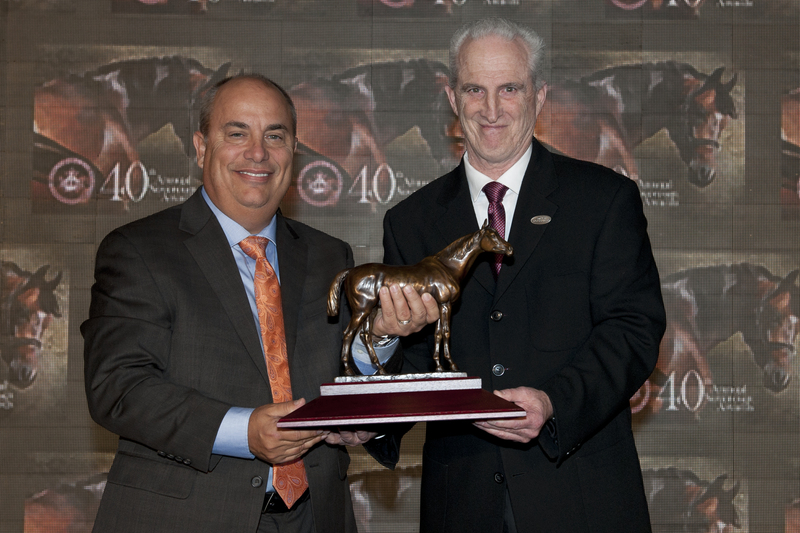 Jeff was unable to attend tonight’s awards due to conflicting internship schedule however he will receive a Jockey Club of Canada plaque in recognition of receiving the award. A nominee in this category in 2010, Eye of the Sphynx hails from the powerful breeding program of Sam-Son Farm. Foaled in 2001, the daughter of Smart Strike was the Champion Three-Year-Old Filly in Canada of 2004, winning the Woodbine Oaks, the Selene and Fury Stakes. She earned over $680,000 in her racing career. As a broodmare, Eye of the Sphynx has surpassed her racing career as she has produced a champion, a graded stakes and another stakes winner from just five foals to race. 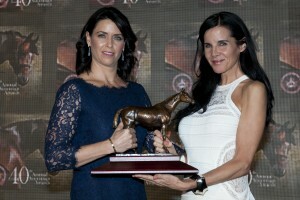 Her first foal was Eye of the Leopard (A.P. 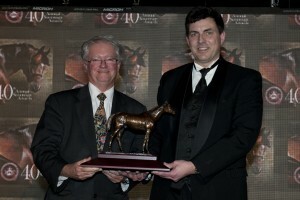 Indy) who won the 2009 Queen’s Plate and was named the Sovereign Award champion. 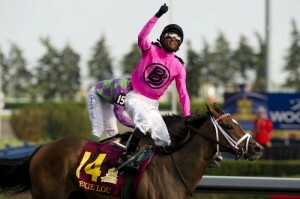 Her next foal was multiple stakes winner Hotep (A.P. Indy) who earned $720,000) and in 2014, her daughter Deceptive Vision was one of the year’s top grass mares and won the Grade 2 Canadian Stakes. Deceptive Vision is a nominee for Champion Turf Female at tonight’s awards. Eye of the Sphynx produced a filly by Bernardini on Feb. 4 at Sam-Son Farm in Milton and has been bred back to that stallion. 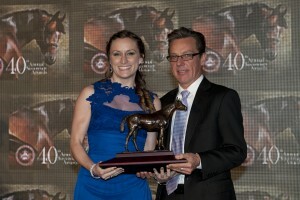 A two-time nominee in this category, Sheena Ryan put up more big numbers in 2014 before she graduated to journeyman jockey status. 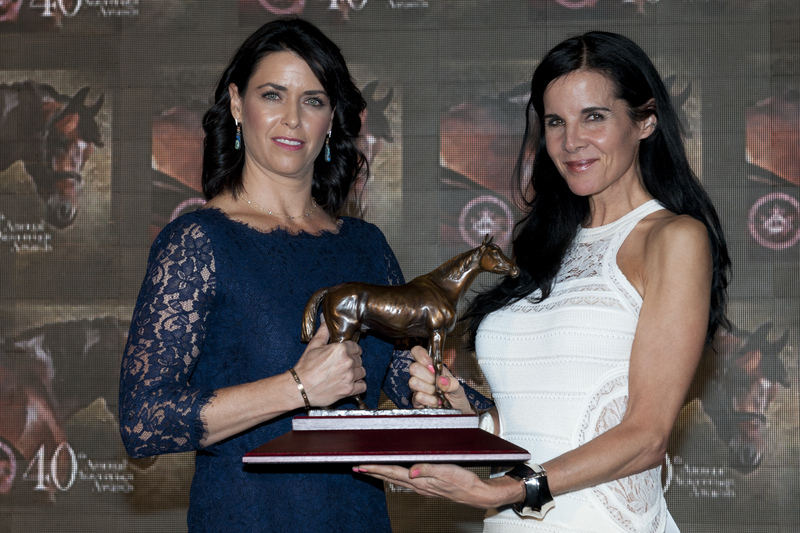 The Saskatchewan-born rider had her first full season at Woodbine and won 37 races from 320 mounts, a solid 12% winning rate, before she lost her apprentice ‘bug’ on Sept. 8. Ryan collected purse earnings of over $1.2 million. Ryan studied to be an accountant but followed her love of horses and a dream to be a rider by joining Alberta’s Olds College jockey program in 2008. Despite being seriously injured and missing most of 2012, Ryan came back and surged into the top 15 Woodbine jockeys in 2014. Owner: Melnyk Racing Stables Inc. Winner: OC $80K, G3 Durham Cup, G2 Autumn S.
The powerful Mark Casse barn continued its reign at Woodbine in 2014 with its eighth consecutive title by wins and ninth title overall. 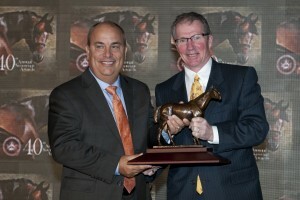 Casse has been named Outstanding Trainer six times in the last eight years including the last three seasons. 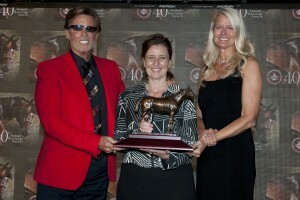 And Casse achieved a new goal in 2014 when he won his first Queen’s Plate when the filly Lexie Lou beat the boys in the Canadian classic. Owned by Gary Barber, a Sovereign nominee, Lexie Lou was the stable star in a universe of good runners for Casse during the year. 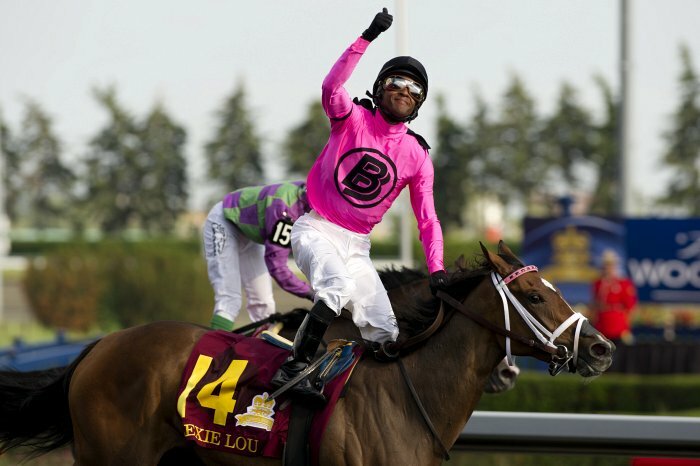 The Indianapolis-born Casse sent out the winners of 21 stakes races in Canada, 93 winners from 476 starters and the earners of over $7.1 million. Several of his stakes winners from the year are Sovereign Award nominees this evening as are three of the stables for which he trains. Winner: ALW $80, G3 Red Smith H.
Sam-Son Farm in Milton, ON has won this award eight times including in 2013 and the famed Canadian farm comes off another strong season with its homebreds. 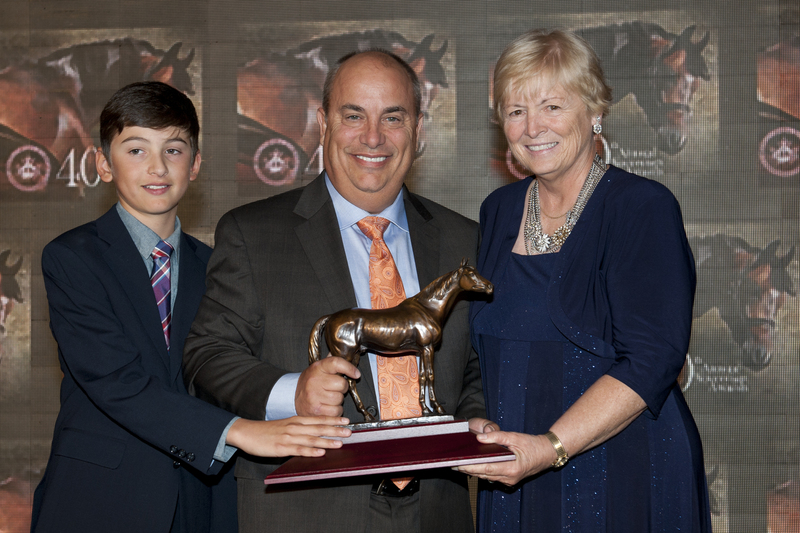 Horses bred by the farm earned over $3.1 million in 2014 which included 38 winners of 62 races. 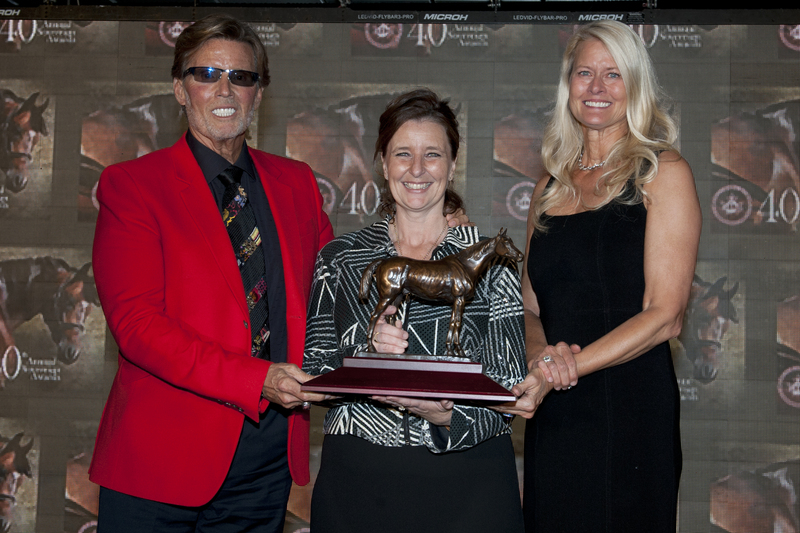 There were 14 stakes horses bred by Sam-Son in 2014 and seven of them were stakes winners. 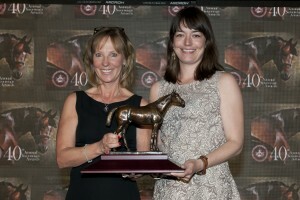 Sam-Son’s own filly Deceptive Vision, a finalist for Champion Grass Female in 2014 was one of the stable leaders as she won the Grade 2 Canadian Stakes and placed in three other graded races. 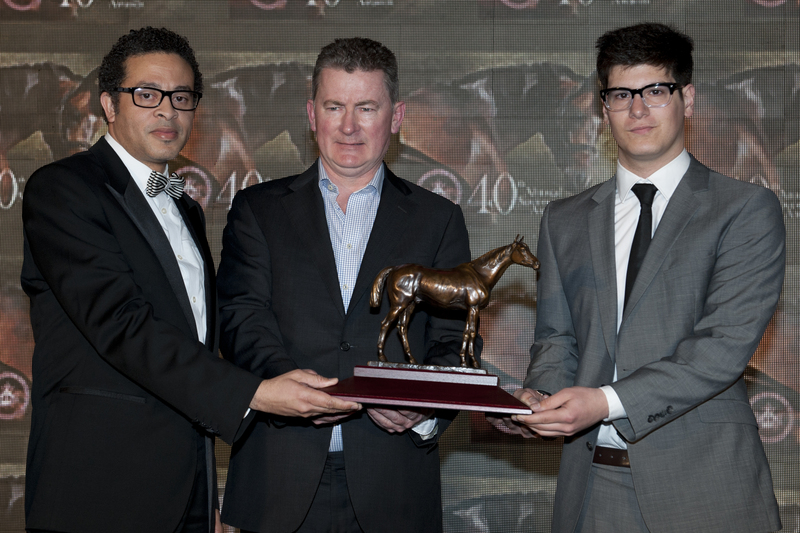 Sam-Son also won with its colt Up With the Birds, the 2013 Horse of the Year, who won the Grade 2 Nijinsky Stakes in 2014; Aldous Snow won the Grade 3 Singspiel Stakes; His Race to Win won the Grade 3 Seagram; and Checkered Past and Speightsong also were stakes winners. Sam-Son is also the breeder of Grade 3 winner Irish Mission. 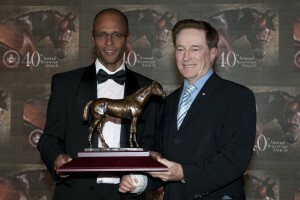 Patrick Husbands won his seventh Woodbine riding title in 2014, coming back from a serious ankle injury that caused him to miss four months in 2013. The Brampton, ON resident, originally from Barbados, won 170 races from 676 mounts including 21 stakes races. 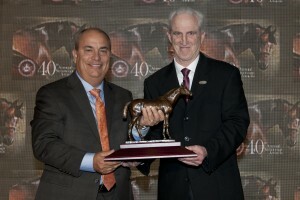 His mounts collected over $10.6 million in earnings, the second-highest total of Husbands’ Canadian career which began in 1998. 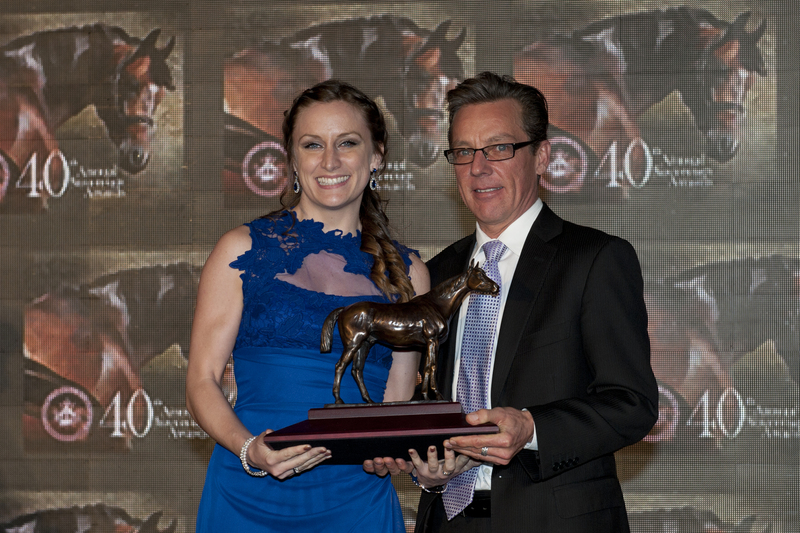 The crowning moment of Husbands’ 2014 campaign came when he guided the filly Lexie Lou to win the Queen’s Plate. 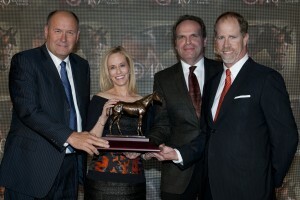 It was the first Plate win for trainer Mark Casse, a longtime friend and client for Husbands. 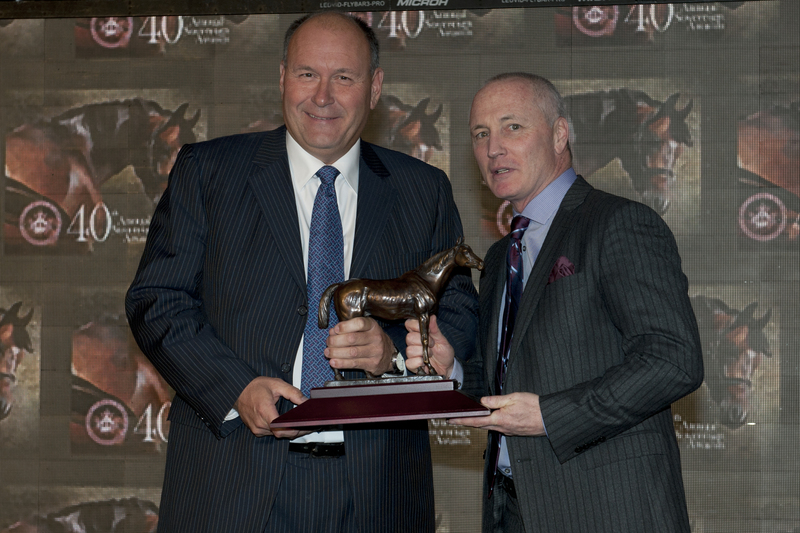 Other big- name horses ridden by Husbands in 2014 included Kaigun, HIllaby and Sky Captain. Husbands has won the Sovereign Award on seven previous occasions. 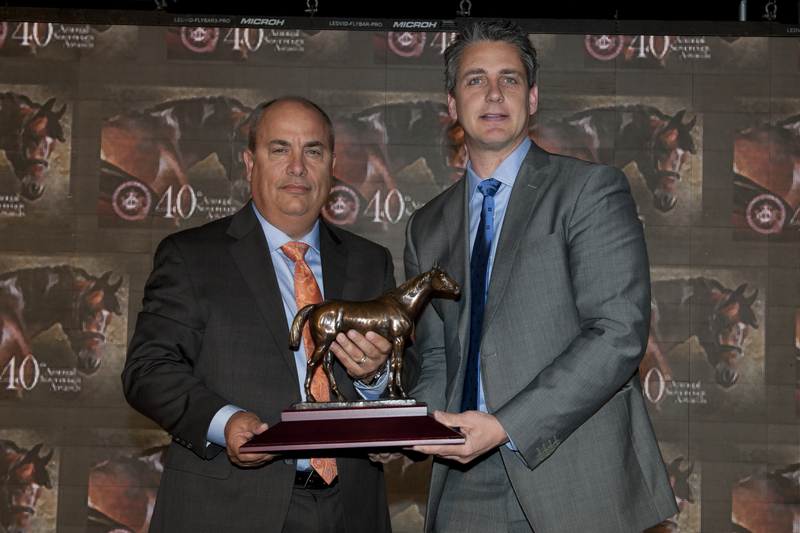 Oklahoma oilman John C. Oxley will be seeking his third consecutive Outstanding Owner Sovereign Award following another finish atop the Woodbine owner’s standings. Oxley won 30 races from 151 starts and his horses earned over $1.5 million. 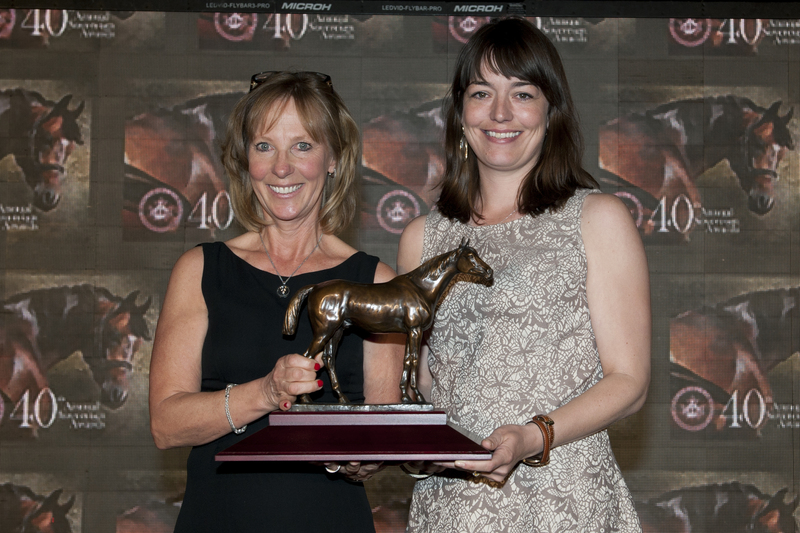 Among the stable stars of 2014 were Sky Captain who won the Grade 3 Dominion Day Handicap and Spring in the Air, winner of the Grade 3 Hendrie Stakes and a finalist for Champion Female Sprinter. 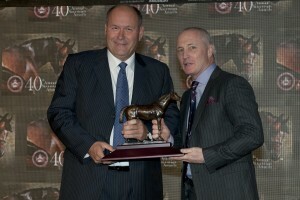 Oxley also won stakes events with Northern Passion, Wild Catomine and the juvenile filly Dixie Twist. Mark Casse trains the Oxley runners. 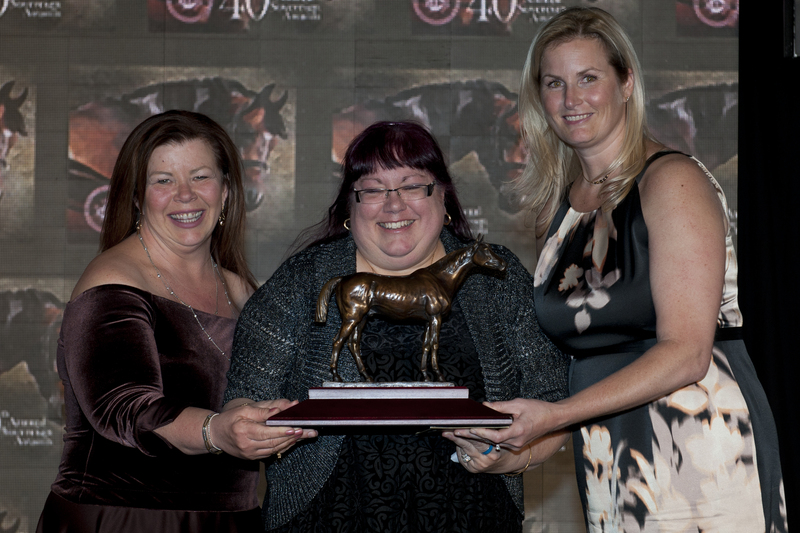 You don’t have to be a finalist to join the party so mark your calendars for April 2016 when the Jockey Club of Canada will be celebrating the 41st Annual Sovereign Awards. Make the Sovereign Awards your annual social event.